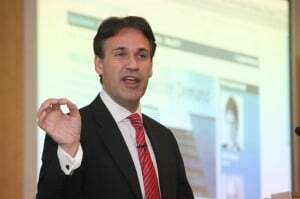 The Legal Education and Training Review (LETR) should recruit a high-powered team of young lawyers to vet its proposals and provide fresh insights into the future of the legal marketplace, Professor Richard Susskind has urged. 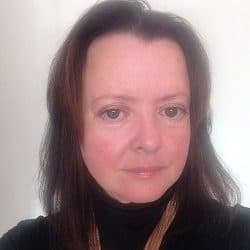 In an official LETR briefing paper, the professor – a consultant to the review – stressed the importance of devising a regime for education and training that would reflect the likely future rather than the way legal services are delivered at present. “If that is not faced squarely, the profound danger is that the review advocates a streamlined regime of legal education and training which might be fit for purpose in 2012 but out of date within a few years,” he warned. Factors that should be considered include “probable changes in the economy, emerging information technologies, the way in which legal service is likely to be delivered, the new providers of legal services who will be competing with law firms, and so forth”. 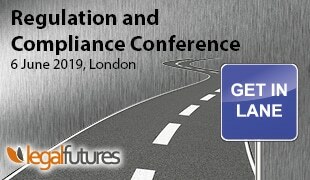 The LETR, which is set to deliver its recommendations at the end of the year to the sponsoring legal regulators – the Solicitors Regulation Authority, the Bar Standards Board, and ILEX Professional Standards – should create a rolling structure to appraise education and training needs every three to five years, Professor Susskind advised. On bringing young people into the LETR process, he said: “The review runs the risk of being conducted by impressively credentialed individuals who have little… genuine insight into the generation of lawyers in whose interests the work is being conducted. 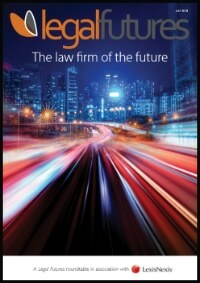 Much of the paper covered familiar themes, such as his analysis of the challenges of future legal practice, including costs pressure from clients, the rise of the power and impact of IT, new entrants to the legal market, and alternative sourcing of legal work. The review had to consider whether it was training traditional consultative advisers or “nurturing a new generation of more flexible, team-based hybrid professionals able to transcend legal boundaries and motivated to draw on modern management techniques and the power of information technology”, he said. An important question that should be asked is whether in-firm training should be delivered on a “just-in-case” basis, whereby generic information is taught and largely forgotten, or on a “just-in-time” basis where online briefings, updates and guidance can be delivered on topics as they arise. “On this model, training is not about attending a course”, he said. Students should have the option to study current and future trends in legal services and to learn such skills as risk and project management. They should also receive practical tuition in everyday IT applications, such as PowerPoint and Excel, rather than it be assumed that “internet generation” students are proficient in IT. However, theoretical subjects, such as jurisprudence and legal history should retain a key place in curricula, he said. Law firms had to face the fact that clients would in future decline to subsidise on-the-job training by paying relatively high rates for junior lawyers to do routine work. Relatedly, the growth of legal outsourcing “raises a profound issue of legal education and training”, the academic said, by removing traditional opportunities for training. The profession must substitute them with “sophisticated learning facilities that enable young lawyers to learn their trade without necessarily being steeped as deeply as their ancestors have been in the experience of routine work”, he suggested. E-learning offers the possibility of innovation in the way education and training is delivered. “I strongly advocate that the review considers and embraces innovative and yet often disruptive uses of e-learning,” said Professor Susskind. He highlighted the work of Professor Paul Maharg at the University of Strathclyde, which enables students to practise law “virtually” in a fictional town during their year of study. In relation to law academics, Professor Susskind said they would benefit from formal training in lecturing and presentation. Also, academics and practitioners should set aside their traditional reluctance to collaborate, for the benefit of everyone. “In continental Europe, law professors are often law firm partners,” he observed.